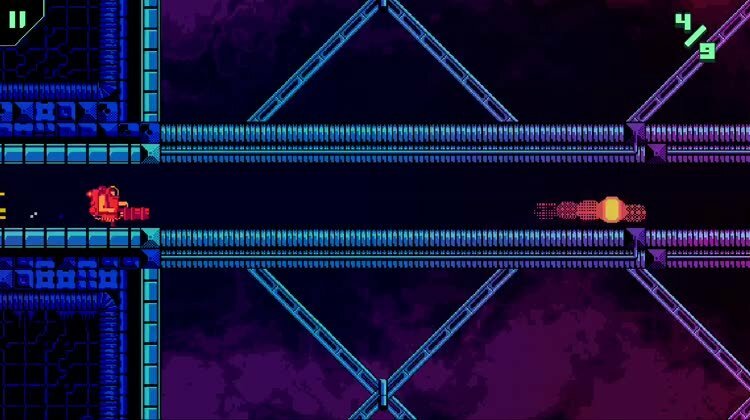 RunGunJumpGun is a challenging twitch reflex platformer that will put all of your skills to the test. How far can you get? Simple controls. 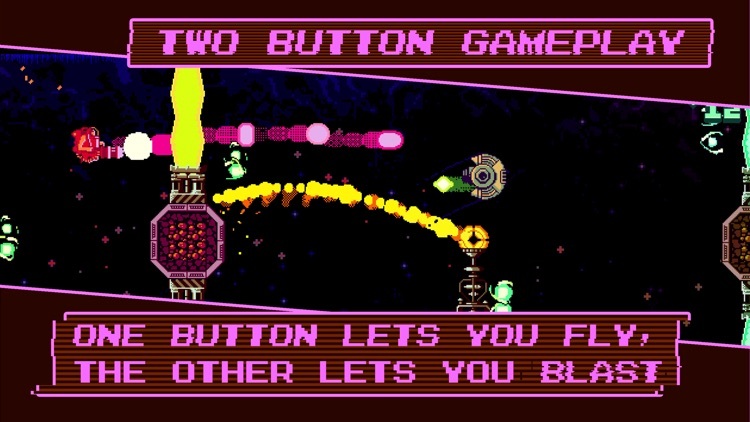 The controls in RunGunJumpGun are as easy as they come. 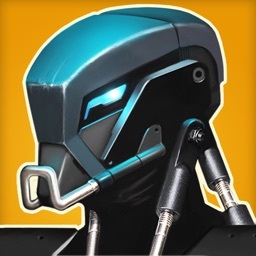 Just tap the left side of the screen to activate your jetpack and fly, and tap the right to shoot your gun and eliminate obstacles in your path, sometimes even before you see them. Time your flight and shots correctly in order to survive to the end. Test your reflexes. 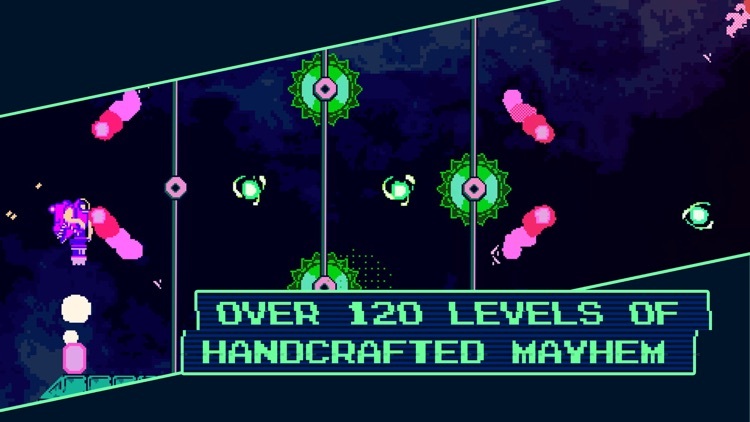 RunGunJumpGun features nail-biting levels that will test all of your reflexes. Can you make use of the simple and intuitive controls to make it through the challenges that await you in one piece? Even if you die, going back to your last checkpoint is a seamless experience. Challenging levels. 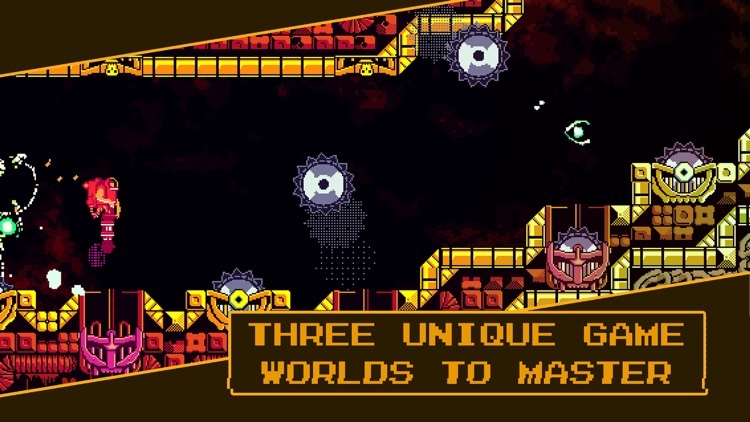 RunGunJumpGun features a total of over 120 levels that are spread out across three different worlds. 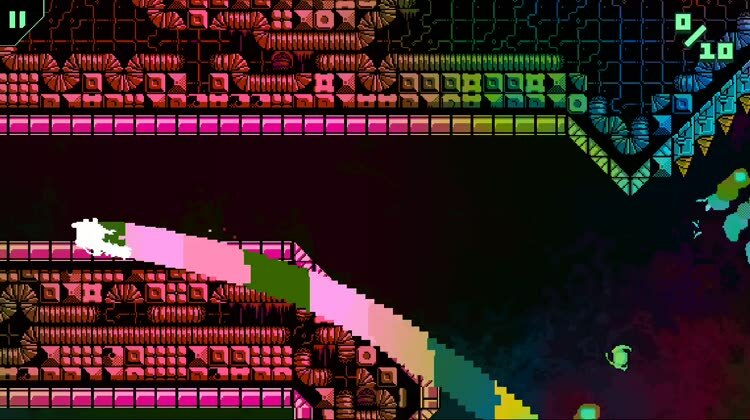 Each area is split up into sections that present their own unique challenges for players to face, and forces you to change your play style every so often to keep things interesting. Are you up for the test? RunGunJumpGun is a frantic, fast-paced twitchy reflex platformer that is as flashy as it is fun. Just tap on the left screen to fly with your jetpack, and tap the right side of the screen to attack with your blazing guns. Each level has different challenges to overcome, but one thing is for certain — there's no time to stop in this game, so go out with your guns a-blazing. 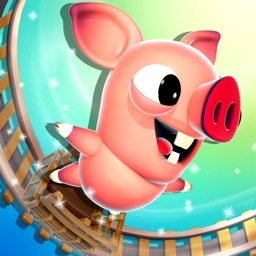 The graphics are beautifully stunning, the music is amazing and quirky, the controls couldn't be simpler, and the levels are nail-bitingly difficult. It's a real test of your skill. Atomik:RunGunJumpGun is a tough as nails game that puts a gravity-defying weapon in your hands. One button lets you fly, the other blasts obstacles out of the way. 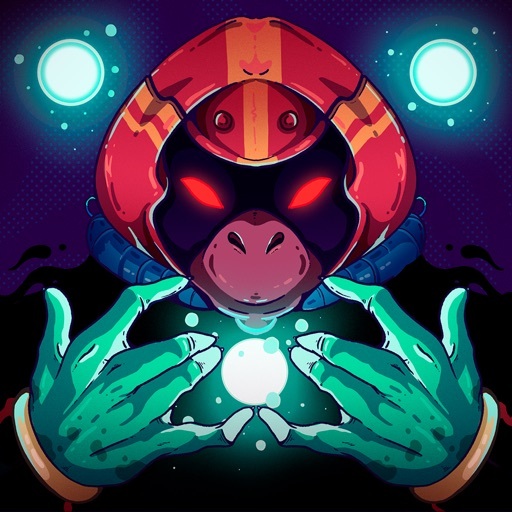 With a cast of crazed characters, challenging gameplay, and a pulsing musical score, it delivers twitchy platforming goodness. 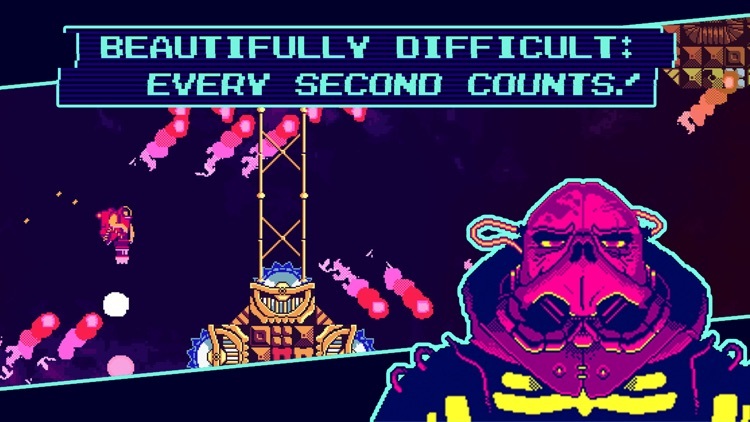 - "RunGunJumpGun is simple arcade action taken to its extremes"
- "...the game has a good look, is buttery smooth to play, and has a killer soundtrack to go alongside it." 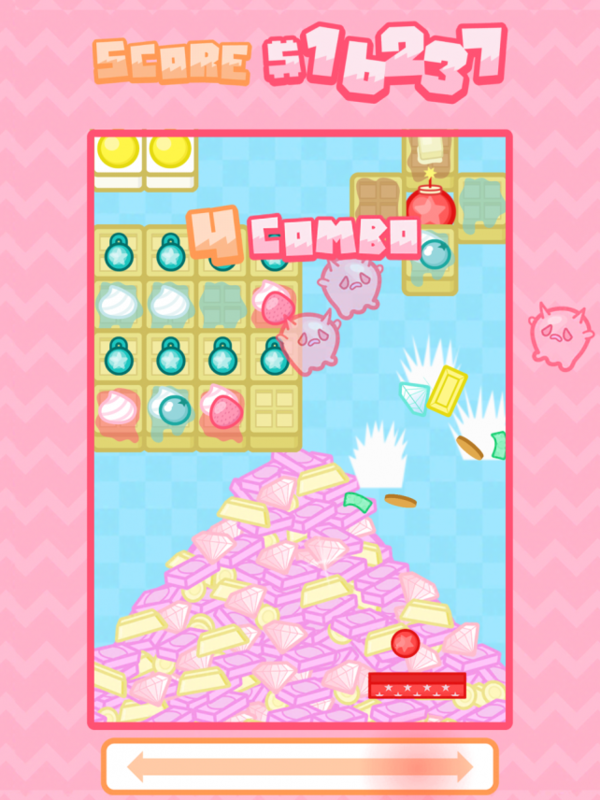 - Two button gameplay:One button lets you fly, the other blasts obstacles into heaps of rubble. 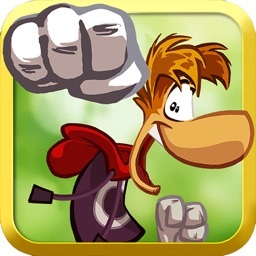 - Over 120 levels of Mayhem:Each level is meticulously crafted to hone and test the player’s speed and tenacity. 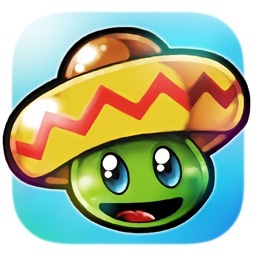 - Marathon Mode:For players looking to compete for the global high score. - Hyperkinetic soundtrack:Pulsing musical score blending hip hop, electronic and movie-score vibes. - Warped space-opera narrative:The game features a cast of crazed, beautifully illustrated characters. - Masochistic Collectables:The quest to collect “Atomiks” littered throughout levels lends an extra level of insanity to already merciless level design. A gift to self-hating completionists. 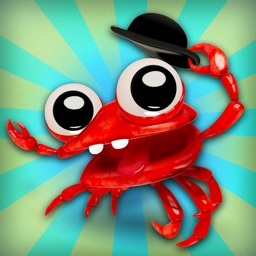 - Accessible single-hand gameplay:Appropriate for players with disabilities. 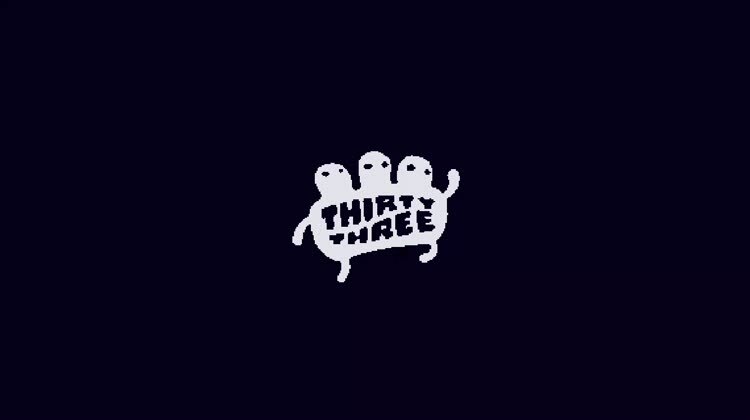 - Made by free range developers fed a pure mixture of VVVVVV, Hotline Miami, and Super Meat Boy. Breakfast, demons, and brick breaking — oh my! In the unique brick-breaker #breakforcist, you'll keep coming back for more breakfast demon exorcising action. 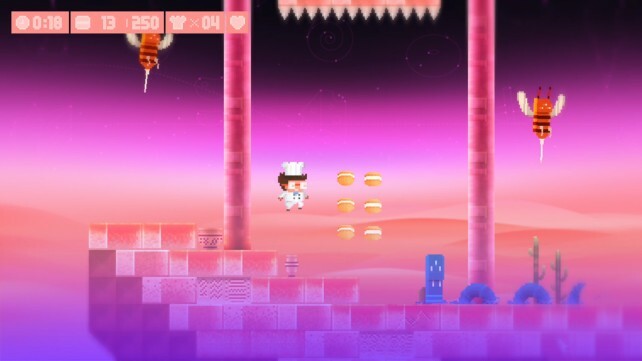 Le Parker: Sous Chef Extraordinaire is an awesome platformer that will satisfy your sweet tooth.